One of Australia’s leading winemakers is distancing itself from the National Rifle Association, after the company learned it was one of 20 Australian producers that sold wine through the association’s for-profit wine club. According to Australian’s Herald Sun newspaper, Yalumba is pulling its four wines sold through the NRA site. 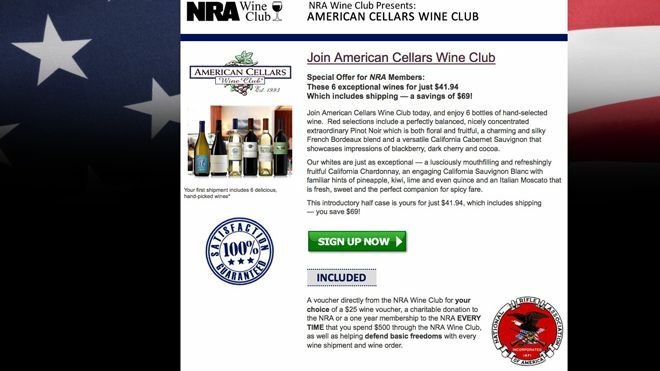 According to pro-gun lobby’s executive vice president, Wayne La Pierre, a donation from every bottle of wine purchased through the club goes to the NRA to support its battle to preserve the Second Amendment. Yalumba’s owner Robert Hill Smith told the Herald Sun he didn’t want his wines associated with the controversial pro-gun rights group.